John Stankey, one of the top lieutenants to AT&T CEO Randall Stephenson, will oversee Time Warner's media businesses after AT&T's acquisition of the company is complete, AT&T announced Friday. Stankey knows AT&T inside and out, having worked there for three decades in a number of leadership positions, including chief strategy officer, CEO of business solutions, and CEO of operations. Soon he will have oversight of some of the best-known media brands in the world, including HBO, Warner Bros., and CNN. 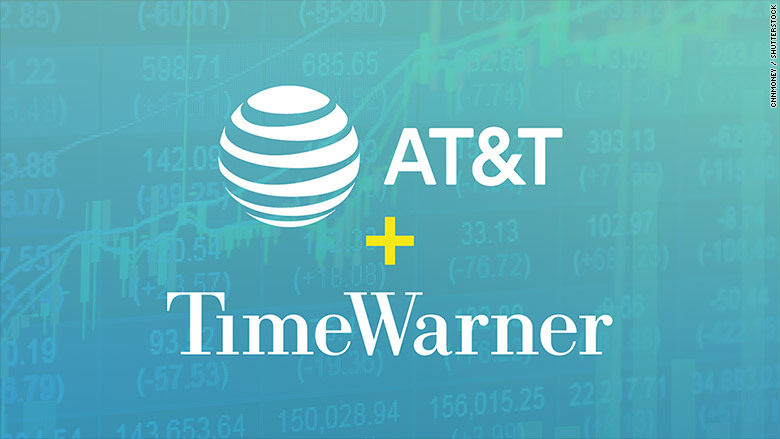 AT&T's acquisition of Time Warner's media brands was announced in October 2016. The two companies expect the deal to receive regulatory approval and take effect by the end of the year. In anticipation of the deal's completion, AT&T is putting a new leadership structure in place, with Stephenson remaining in charge as chairman and CEO. The structure was reported by news outlets earlier this month, and confirmed by the company on Friday. Stankey will effectively succeed Time Warner CEO Jeff Bewkes, who had previously said he will step down after the sale. AT&T said Friday that Stankey will lead AT&T's "Time Warner Merger Integration Planning Team," working with Bewkes, and then become "CEO of AT&T's media company once the merger is complete." Stankey is currently the CEO of AT&T Entertainment Group. He is based in southern California. When the changes take effect on August 1, another one of Stephenson's top deputies, John Donovan, will take oversight of AT&T Entertainment Group along with business solutions and operations. His new title will be CEO of AT&T Communications. The restructuring means that the media businesses, including brands like CNN and HBO, will be operated separately from the company's wireless business. Bloomberg reported earlier this month that "AT&T sees the split structure as a way to protect Time Warner's Hollywood culture, where creativity is prized, from the more bureaucratic traditions" of the Dallas-based AT&T. Also on Friday, Stephenson appointed Lori Lee, AT&T's global marketing officer, to oversee AT&T International. Under Bewkes, Time Warner has had three main divisions -- HBO, run by Richard Plepler; Turner, run by John Martin; and the Warner Bros. studio, run by Kevin Tsujihara. CNN is part of Turner, alongside channels like TNT, TBS and Cartoon Network. An AT&T spokesman said the company had no specific information to announce about how those three divisions will report up to Stankey in the future. There have been concerns raised by Democratic lawmakers and some journalists about AT&T's stewardship of CNN, especially in light of President Trump's frequent attacks against the news organization. "So far, there is no clear indication of how AT&T might manage CNN," The New York Times reported earlier this week. When the deal was announced in October, Stephenson pledged journalistic independence for CNN, saying "I think you can begin to destroy a brand like CNN if you begin to meddle in its independence."